Cabinet last Friday approved the Electronic Communications Amendment Bill, which, if enacted, will see sweeping changes to legislation governing South Africa’s ICT sector that will force through the creation of a highly controversial and untested wholesale open-access network (Woan) while giving the telecommunications & postal services minister more power to intervene in the running of the sector. A high-stakes court battle between the industry and the minister, Siyabonga Cwele, now looks increasingly likely, if not inevitable. The amendments to the act include an entirely new chapter dealing with the creation of the Woan, a concept that has drawn fire from several quarters, including the big operators, industry analysts and the Free Market Foundation. The operators are expected publicly to react to the draft legislation in the coming days, but already the Free Market Foundation has attacked it, saying it “ignores months of behind-closed-doors negotiations” between the top-six mobile network operators and the government. It has warned that government is effectively creating a new monopoly in the sector, threatening investment and upending an industry that has delivered communications services to the vast majority of South Africans. The bill goes back to the original, “much-criticised” position that government took in the ICT policy white paper, published in October 2016, the foundation said in e-mailed remarks sent to TechCentral. “Industry insiders believed a compromise solution had been reached. Yet, again government has used duplicitous tactics and shown scant regard for good faith negotiation and public participation,” said Free Market Foundation executive director Leon Louw. “The impact for consumers and the economy in terms of access to new technologies, quality of service and the price of data is significant,” he said. If the bill is enacted, “data prices will rise, not fall”, Louw said. He slammed government for giving the public and industry just 30 calendar days to comment on the draft legislation – until 18 December. Louw said three key issues of concern in the 2016 white paper remain in the amendment bill. There’s the plan to implement a “monopoly network” in the form of the Woan; a clause that requires mobile operators to return previously allocated spectrum “in which they have invested billions” of rand; and a requirement for mobile operators to provide access to their network infrastructure to competitors at cost-based pricing. “The incentive to invest in new technologies being made available to South Africa’s peer countries and competitors will be lost. We will fall behind,” Louw said. He said that there must be an extension to the public comment period to the end of February 2018. The section of the bill dealing with the Woan is likely to prove one of the contentious points for the industry. 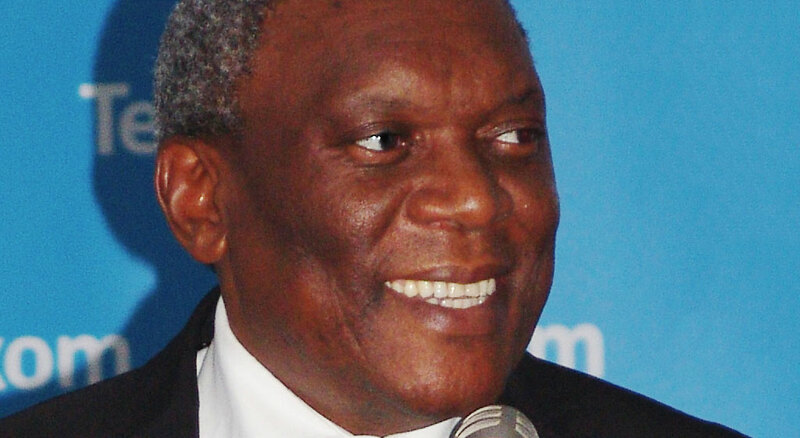 Within six months of the amendment being signed into law, the telecoms minister – Cwele – must determine what constitutes “high-demand spectrum” (spectrum where there is insufficient spectrum available to all operators wanting access) and which parts of that spectrum will be assigned to the Woan. He must do this in consultation with Icasa, but the decision is his to make under the amendment bill. Icasa must then assign high-demand spectrum not reserved for the Woan – whatever is left, at the minister’s discretion – to commercial operators, but only on condition that the Woan is already “functional” and that they acquire at least 30% of capacity (or more, if Icasa decides this) in the Woan for a period still to be determined. 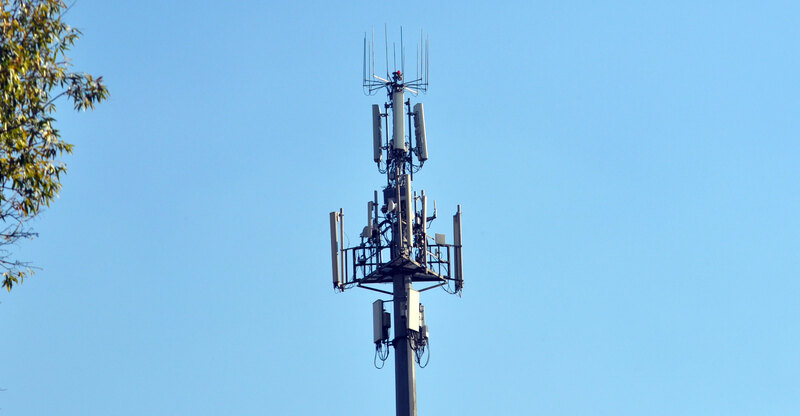 In addition, operators may not use the high-demand spectrum assigned to them in already well-serviced areas, including South Africa’s cities and towns, until they comply with roll-out obligations in rural and underserviced areas. The problem is, the big operators, including Vodacom – the biggest – are facing a spectrum shortage in the cities. 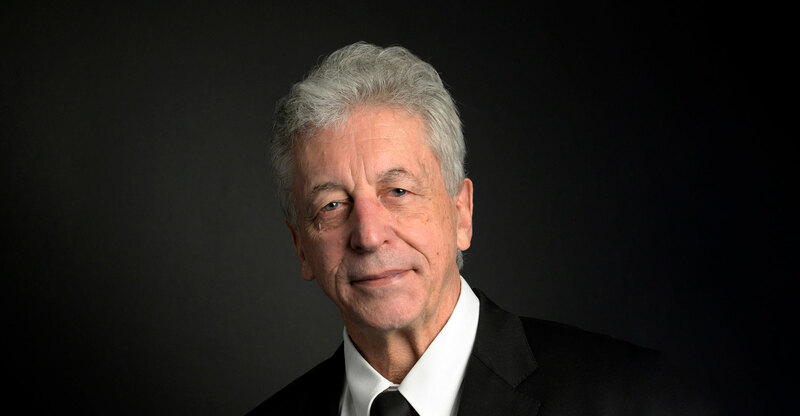 Another controversial component of the bill is that all high-demand spectrum assigned to operators – including the commercial operators – will be subject to open-access principles, meaning Vodacom or MTN, for example, will have to share facilities built using the spectrum with their rivals. Within 24 months of the introduction of the amendment act, Icasa must also conduct an inquiry and make recommendations to the minister on the terms and conditions, as well as the timeframe, under which exclusively assigned high-demand spectrum must be returned. This must consider policy, market developments and the availability of open-access networks. It had been expected that this clause would not make it into legislation. The operators have collectively invested tens of billions of rand in infrastructure using these spectrum assets. The operators are likely to challenge this part of the amendment bill on constitutional grounds, according to well-placed industry sources. The amendment bill also includes a “use it or lose it” clause, which states that Icasa may withdraw any spectrum licence or assigned spectrum where the licensee has failed to use it for a period of one year. However, the minister is given the power to exempt small and medium enterprises and new entrants from this clause “upon good cause shown”. On universal service — ensuring communication services are made available to everyone — Icasa must impose obligations on existing and new spectrum licensees. Icasa must also obtain the minister’s approval on the nature of all universal access and service obligations before they are imposed “to ensure the obligations are coordinated, relevant and aligned with national policy objectives and priorities”. If licensees do not meet their targets, they may lose the right to use the spectrum. Telecoms director-general Mabuse Nkuna said his department will host a meeting with all stakeholders to explain “every aspect” of the amendment bill in early December. He said that in the early 1990s, the state invested in Vodacom and MTN. “The state was a shareholder in both companies until most recently. At the time, there was a motivation for the state to do this. “Fast-forward to 2001/2002, and the Telecommunications Act 1996 was amended to enable the two companies to build their own infrastructure and loosen Telkom’s stranglehold,” Nkuna added. “After this, the state had to integrate the infrastructure owned by Transnet (Transtel) and Eskom (Esitel) into Neotel to make it viable. “Today, the state is faced with a challenge to introduce small operators to participate in the market. Now the common narrative is that there is no need for further intervention to enable others to participate because this will destroy existing investments. The amendment bill also introduces spectrum trading for the first time, but specifically bars it for so-called high-demand spectrum — this includes the spectrum the mobile operators use to deploy 2G, 3G and 4G infrastructure. Any spectrum trading that occurs must not distort competition. Licensees may also not use spectrum trading to hoard spectrum. Under the amendment bill, licensees can also share spectrum, subject to approval from Icasa. This may not happen if there is a negative impact on competition or if it amounts to spectrum trading. The bill also introduces a rapid-deployment policy, which will include the establishment of a Rapid Deployment Coordinating Centre and a Rapid Deployment Steering Committee to oversee the activities of the centre. The “Free Market Foundation” should change their name to the “Keep the Vodacom/MTN Duopoly Foundation”. They just can’t abide seeing their cosy and extremely profitable duopoly threatened. Where do I find a copy of this new bill? That still says nothing about the entrenched duopoly of the Big Two. There are a number of critical issues raised here, both process and substantive. One of the critical public interest concerns is the degree to which the independence of the regulator (shortly to be split back into SATRA and the IBA) is undermined, and key regulatory functions subsumed under the umbrella of the Minister and the Department. Certainly the privileged licence to be awarded for the WOAN remains the elephant in the room, both in terms of wisdom and workability, as do many of the spectrum provisions, some of which seem to be in response to the current stand-off between the Minister and ICASA. But several of the concerns raised by Louw are less controversial than he would have us believe. For example, the requirement to provide cost-based open access to infrastructure is already provided for in the existing Act. It remains unclear how much is to be achieved by rewriting and renaming the section on Facilities Leasing, which already covers much of what is required. Further, the requirement to roll out services in under-serviced areas as a quid pro quo for access to high demand spectrum, is not that unusual, with precedents already applied in the EU. Finally, I see no provision requiring the holus bolus return of spectrum by the mobile operators – the ‘use it or lose it’ principle is far removed from a blanket confiscation of spectrum. Other major substantive sections deal with: the much-vaunted and much-delayed rapid deployment guidelines and procedures, including rights of way, trenches and high sites; spectrum trading, sharing and refarming; provisions to give effect to the SADC Roaming Policy Guidelines. These require careful analysis and detailed commentary. Everything, REPEAT everything that this vile and loathsome ANC government touches eventually turns to faeces – from healthcare (NHI) to ICT – what on earth have South Africans done to deserve one of the worst governments on earth?